There is concern that mental and physical fatigue among endoscopists over the course of the day will lead to lower adenoma detection rate (ADR). There are mixed findings in the prior literature on whether such an association exists. The aim of this study was to measure the association between the number of colonoscopies performed in a day and ADR and withdrawal time. We analyzed 86,624 colonoscopy and associated pathology reports between October 2013 and September 2015 from 131 physicians at two medical centers. A previously validated natural language processing program was used to abstract relevant data. We identified the order of colonoscopies performed in the physicians’ schedule and calculated the ADR and withdrawal time for each colonoscopy position. The ADR for our overall sample was 29.9 (CI 29.6–30.2). 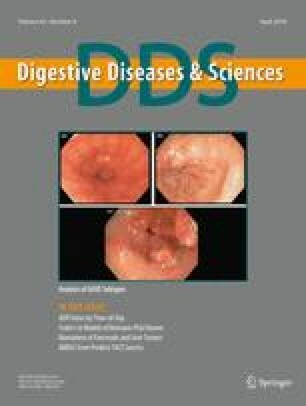 The ADR for colonoscopies performed at the 9th + position was significantly lower than those at the 1st–4th or 5th–8th position, 27.2 (CI 25.8–28.6) versus 29.9 (CI 29.5–30.3), 30.2 (CI 29.6–30.9), respectively. Withdrawal time steadily decreased by colonoscopy position going from 11.6 (CI 11.4–11.9) min for the 1st colonoscopy to 9.6 (8.9–10.3) min for the 9th colonoscopy. In our study population, ADR and withdrawal time decrease by roughly 7 and 20%, respectively, by the end of the day. Our results imply that rather than mental or physical fatigue, lower ADR at the end of the day might be driven by endoscopists rushing. Support comes from National Cancer Institute 5R01CA168959. FOM and AM involved in study concept and design; MM involved in acquisition of data; FOM, AM, and RAG involved in analysis and interpretation of data; FOM, AM, RAG, RES, AM, and SDC involved in drafting the manuscript; FOM involved in statistical analysis; RES, AM, and SDC involved in critical revision of the manuscript. The authors disclose no conflicts, and no writing assistance was provided other than from listed authors.